Im a Fan of A + Tire & Auto Repair... Are you? Fill in the below form and you can recommend ‘A + Tire & Auto Repair’ to a friend or family member via a text message. 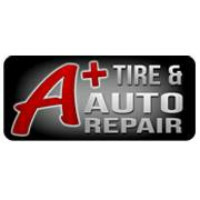 Show your support with a quick share of ‘A + Tire & Auto Repair’. Erik and his staff are very knowledgeable and friendly. They always put customer service first and treat everyone like family. I have trusted him for many years and will continue to do so. Outstanding owner takes great pride in his business, has people who are honest, hard working and prices services fairly. Highly recommend! Does great work at very reasonable prices. People you can trust with your vehicle. We have use A+ Auto many times. They are always fast, honest and d a great job. We wouldn’t go anywhere else! Eric and his staff are full of knowledge and always exude class and customer service like no other. Focused on the customer and their needs, the way it should be. A++++ is more like it.